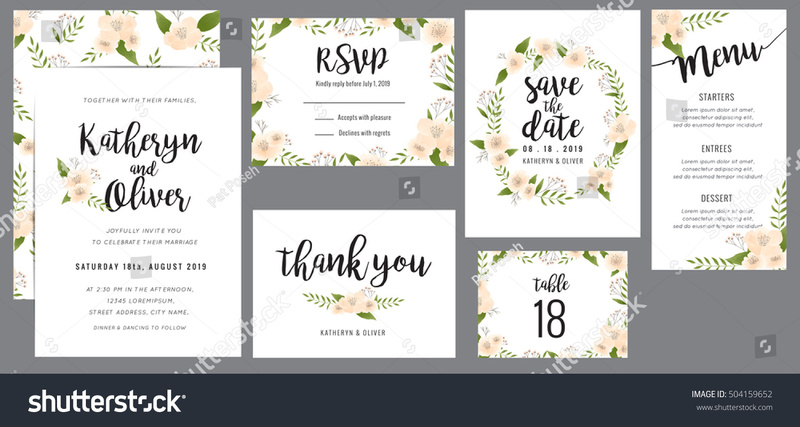 Wedding suite template decorate with wreath flowers. Including save the date card, invitation card, wedding menu, response card and thank you card. Vector illustration.